We face a myriad of challenges each and every day. 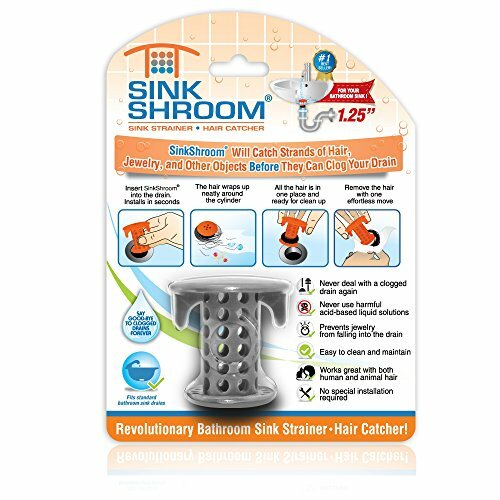 Cleaning clogged drains no longer has to be one of them--thanks to the revolutionary new SinkShroom. SinkShroom fits snug inside your bathroom sink drain, all calm and collected, effortlessly gathering each and every hair that tries to make its way down your vulnerable drain. It even protects against rings and other jewelry falling into the drain. It's the hero you deserve in your bathroom. If you have any questions about this product by TubShroom, contact us by completing and submitting the form below. If you are looking for a specif part number, please include it with your message.